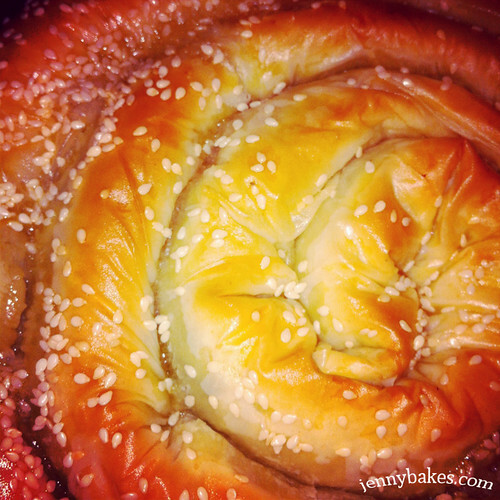 "...In every city I checked into a cheap little hotel like Ka's and went off with my hosts to a Turkish restaurant where over spinach börek... we discussed politics...."
From the research I have done, it appears that börek can refer to practically any filled pastry, usually savory. (Feel free to correct me if I'm wrong.) To ask for börek, you would say "ben börek istiyorum." 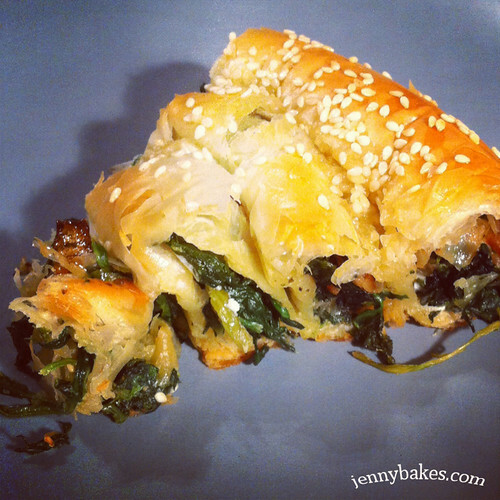 And I will be saying that again, because börek is tasty! While I found a lot of different recipes for börek online, I will simply share my technique with you. Feel free to substitute any type of filling, shape, or topping. The original recipe I wanted to make was leek and feta borek, and they were triangles, but then the grocery store had zero leeks (zero! ), so I scrambled to gather ingredients for a different version. Prepare a 8" cake pan by spraying with nonstick spray. Preheat oven to 400 F.
Saute onion in olive oil until translucent. Add garlic and stir for a minute or so. Stir in spinach and remove from heat. Brush the top with the melted butter and sprinkle with sesame seeds. Bake 20 minutes or until golden brown. *Many börek recipes are spicy, so you might want to add chiles or cayenne, something to add a bit of pep. I wish I had, but this was still very good. This is a strange instance of my Around the USA challenge. I read Arcadia by Lauren Groff, which was set in a commune in upstate New York. Everyone in the book lives on homemade bread and soy products, including soy cheese. While these things are made as examples of hippie fare, would seem to get expensive fast. It isn't the healthiest of diets in the book, as there isn't enough to go around, but the commitment to eating from the land (and not from the grid) seemed to be at the core. When it came to making something "from New York," I decided to go the "what hippies in a commune would eat these days" route. I plan on reading other books from New York this year, and that's when I can delve into sterotypical Manhattan cuisine. (Expect black-and-white cookies, real NY Style cheesecake, and egg creams sometime later!) Is there anything more modern-day hippie than the raw food movement? Crackers made of soaked nuts, sprouted grains, smoothies of greens? 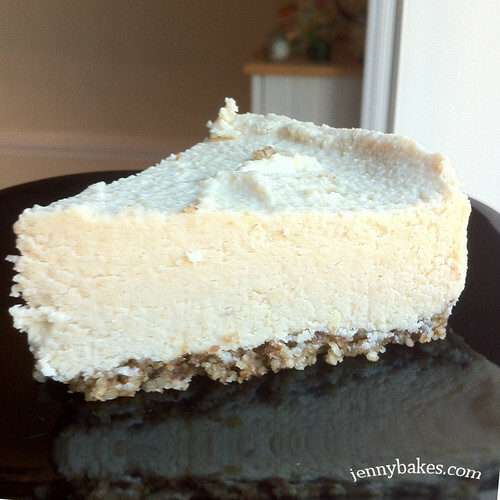 I had been pinning raw cheesecakes in Pinterest for a while now, and I was very curious to experience what one tasted like. Raw cheesecakes often depend either on avocado or cashew cream to create the cream cheese-custard texture, often with a raw nut crust. I made a 6-inch cheesecake, and even then the raw cashews cost $9. Raw eating is expensive, boys and girls. This recipe also called for coconut oil, which I had on hand, dates, and almonds for the crust. I used pecans. The end result? Well, Nathaniel couldn't eat it without laughing, because it really is slightly ridiculous. You know it isn't cheesecake. It doesn't taste like cheesecake. Yet there you sit, trying to talk yourself into it being cheesecake. I mean, it didn't taste bad. The creamy nuts and the creamy coconut oil were bright with the citrus. We'll eat it and not throw it away. But maybe we could call it a cashew-coconut cream torte or something. I don't mind eating something called that. I should also point out that "raw" is not the same as "low-calorie," so don't fool yourself. Vegan baking can go towards lower calorie, but once you start grinding nuts into paste to replace dairy and adding coconut oil for texture, you are adding a heck of a lot of calories. 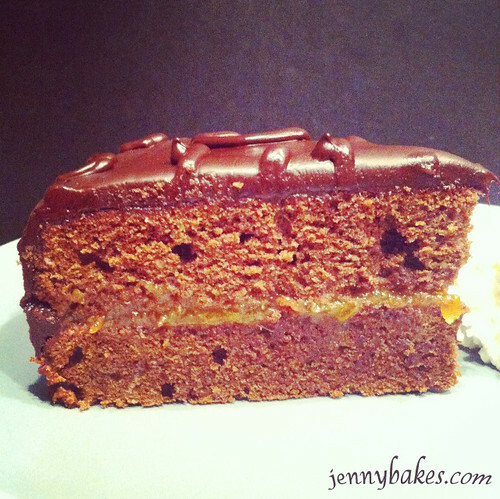 Still tasty, still worth doing every once in a while, but I wouldn't use "raw" as an excuse to eat the entire thing. I based my recipe on one I found at the Fragrant Vanilla Cake blog, but will indicate what I did below. Spray a six inch spring form pan with coconut oil spray (or other oil spray) and set aside. To prepare the crust, process pecans and salt in a food processor until the nuts are fine crumbs, then add the dates and process until the mixture holds together when squeezed between your fingers. Firmly press crust into the bottom of prepared pan. Set aside. To make filling, drain cashews and combine all ingredients in a food processor and blend until smooth and creamy. Pour over crust in pan and set in the freezer or fridge until it is set, 4 hours or overnight. In a previous post, I explained how I teared up when I looked through The Joy of Gluten-Free, Sugar-Free Baking by Reinhart/Wallace , because I trusted Peter Reinhart as a baker and thought he would steer me the right way in trying to bake this new way we are eating. I wasn't wrong! 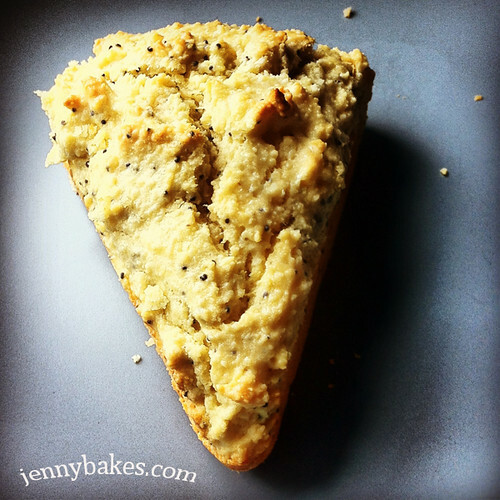 This is my first attempt from that book - lemon poppyseed scones. I made a half-batch because 2 cups of almond flour is spendy enough. I feel like there was too much sweetener for my tastes (scones barely need to be sweet), and still can't get past the overly chemical flavor of using Splenda for baking. Next time I'd use half as much of that particular ingredient. Still, the double lemon in the recipe actually masked that flavor quite a bit. These were more crumbly than tender normal scones, but still firm enough to hold up to toppings and to being sliced in half. I'd say they were definitely the most successful baked good I've made with almond flour! Next I need to hunt down some more nut flours, as there is an intentional variety throughout the book - hazelnut, pecan, etc. For my Around the USA challenge, I have already found myself in Indiana. It does not seem like an accident because I lived in Indiana for six years, from 2000-2006. A lot of the memories I have fit with old-fashioned recipes like persimmon cookies - I worked in a church of mostly elderly people, I worked at a tearoom where we served mainly old-fashioned desserts, and we lived in tiny town of Greencastle with festivals on the town square. Greencastle was not the only town with a festival. Festivals were everywhere. We went to the Apple Butter Festival, the Dogwood Festival, the Canal Days Festival, the Feast of the Hunter's Moon.... but our favorite (and very close by) was the Covered Bridge Festival. It is hard to describe, exactly. An enormous expanse of white tents covering multiple fields, full of people selling everything from flea-market appropriate goods, to handcrafted items, to food. It was at the Covered Bridge Festival where I was first introduced to the persimmon. In a little corner near some art exhibits were several people selling persimmon pudding. I had no idea what a persimmon was, let alone know what it tasted like. In 2005, when my friend Kimberly was visiting from Oregon, we went to the Covered Bridge Festival and I tried persimmon pudding. 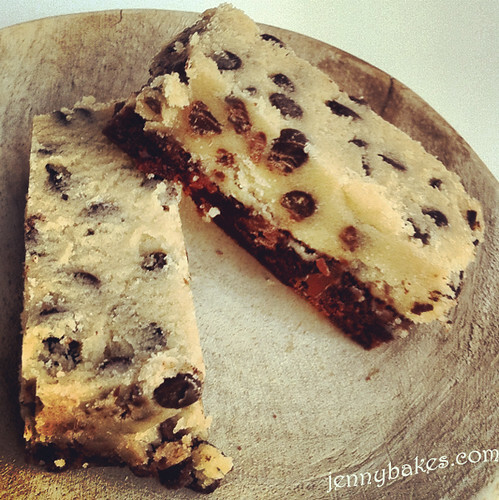 It is a pudding in the traditional/English sense of the word - a very moist cake, almost. They served it with a creme anglaise on top, if I remember right. That was also the first time I tasted morels! So basically, when I started listening to a book set in Indiana, I couldn't get persimmons out of my mind. 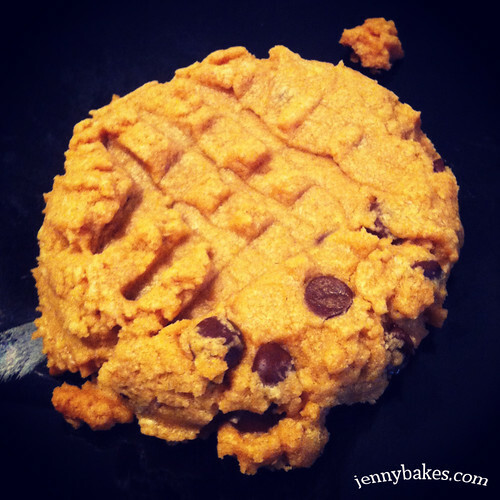 Sharing a persimmon pudding seemed difficult (after all, they are best piping hot), so I found a recipe for persimmon cookies on the Pinch My Salt blog. I made half a batch because pulping persimmons is a lot of work, and I wasn't sure I had enough to get a full cup of pulp. I also wasn't sure how they would taste; the scent reminded me of some essential oil samples I had tested once and rejected. Unripened persimmons contain the soluble tannin shibuol, which, upon contact with a weak acid, polymerizes in the stomach and forms a gluey coagulum, a "foodball" or phytobezoar, that can affix with other stomach matter. These phytobezoars are often very hard and almost woody in consistency. More than 85% of phytobezoars are caused by ingestion of unripened persimmons. Persimmon bezoars (diospyrobezoars) often occur in epidemics in regions where the fruit is grown. Diospyrobezoars should not be of concern when consuming moderate quantities of persimmons. One case in medical literature from 2004 revealed a 51-year old patient who had eaten a kilogram (2.2 pounds) of unpeeled persimmons each day for 40 years. Surgery is sometimes employed, but Coca-Cola has also been successfully used to chemically shrink or eliminate persimmon-related bezoars. Take away: no need to be concerned about too many unripe persimmons in your cookies; just serve them with Coca-Cola. But how many foods do YOU make that contain the possibility of creating phytobezoars? Terrifying! These same students went back for more, so I guess the scientific intrigue did not outweigh the tasty cookies. 2. In a medium bowl, whisk together the flour, soda, salt and spices; set aside. 3. In a separate bowl, cream the shortening with the sugar using a hand mixer. Beat in egg then beat in persimmon pulp. Slowly beat in the flour mixture until everything is combined. By hand, stir in the nuts and raisins. 4. Drop by rounded spoonfuls onto prepared baking sheets. They can be placed close together because these cookies don’t spread much. 5. Bake for approximately 12-15 minutes. Let cool on baking sheets for five minutes and then remove to a wire rack to cool completely. Surprise, surprise, time for another baking-reading project conglomeration! 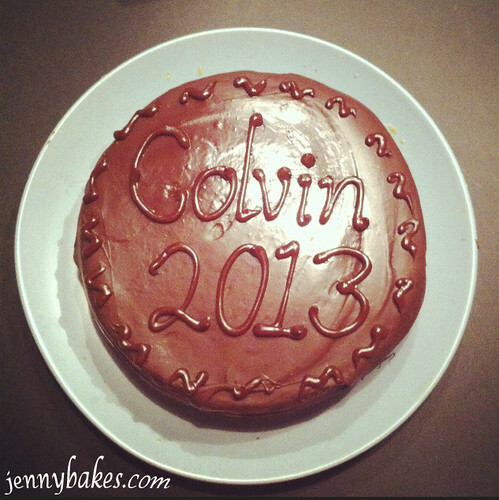 I so enjoyed baking around the world last year, even if I only made it to twelve countries. 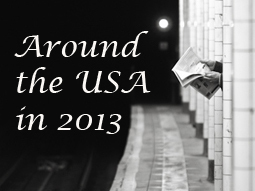 I will continue that project in 2013, but will focus more on United States of America regional cuisine. Most of the time, I will focus on baked goods and desserts, but every so often you will see a candy, a drink, or something savory. My first offering of the year is boiled custard. According to my co-worker Cris, who is married to a west-Tennessean, this is a regional southern treat. She spent some time this past December perfecting a recipe to get it as close to what he remembered as she could. In some states, you can buy it in the store next to the eggnog. Paula Deen has a similar recipe called "Drinking Custard" that is really a creme anglaise, but Cris's version uses fewer eggs, making it more drinkable. The only change I made was to add a pinch of salt, which I do to everything that doesn't tell me to. It can be served hot or cold. We tried it both ways, but could not really decide what we liked more. It was delicious both ways. The weather has been cold, so hot seemed to do the trick for me. You could do a lot with this besides drinking it - it would make a marvelous sauce for fruit or bread pudding, just for starters. When I was in Australia, they sold quarts (maybe half-liters, eh?) of something very similar, but I wasn't paying enough attention to remember the exact name of it. It would be poured over fresh fruit at breakfast, to go with the blood sausage and gravy on toast. You might understand why I took to it! As with the Around the World challenge, these recipes will accompany a book set in the same state. 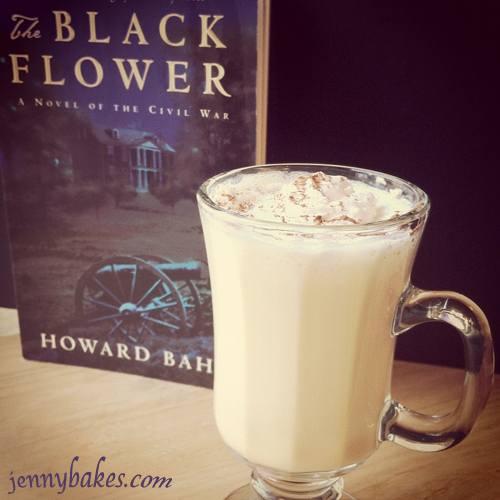 I had been reading The Black Flower: A Novel of the Civil War by Howard Bahr in December, along with the On the Southern Literary Trail group in GoodReads when Cris peaked my interest in boiled custard in Facebook, so I decided they were a match made in heaven. I have a few more recipes in mind for Tennessee, so I might return there before the year is over. Technically I read the book in 2012. I reviewed the book quite extensively over on Reading Envy. Since the novel is about the Battle of Franklin in the Civil War, there is no boiled custard mentioned in its pages. 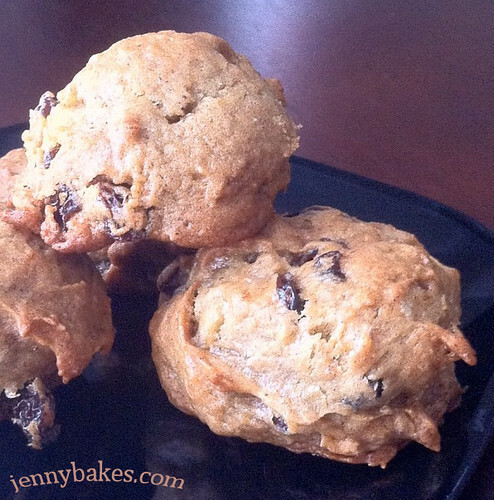 They barely scrape by with hoecakes ("journey cakes"), biscuits, dried meat and dried fruit. The soldiers are always begging for coffee and dreaming about feasts of southern food. Custard or any dessert would have been an impossible luxury, but of course, anyone who bakes has a compulsion to sooth people with sweets. These suffering soldiers could have really used some boiled custard!